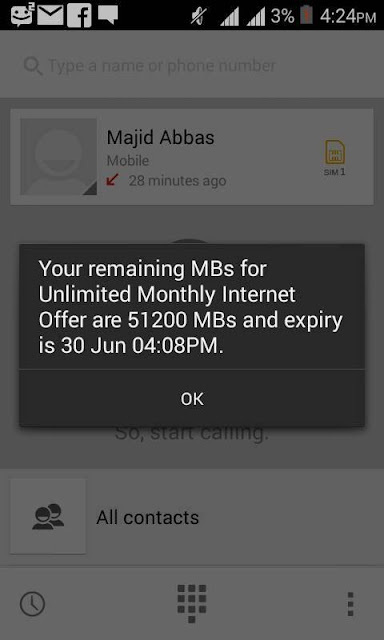 Free 3G 51gbs up for grab for Pakistan users on the Mobilink network! This trick is simple and doesn't require much. users on the network Mobilink are to dial any of the below codes to get their free data. *500#, *999# or *114*6# to get the free Gigagytes worth of browsing data. Note: If you receive a message saying that you are not eligible for the free data, simply dial 111 to resolve and get your free data!